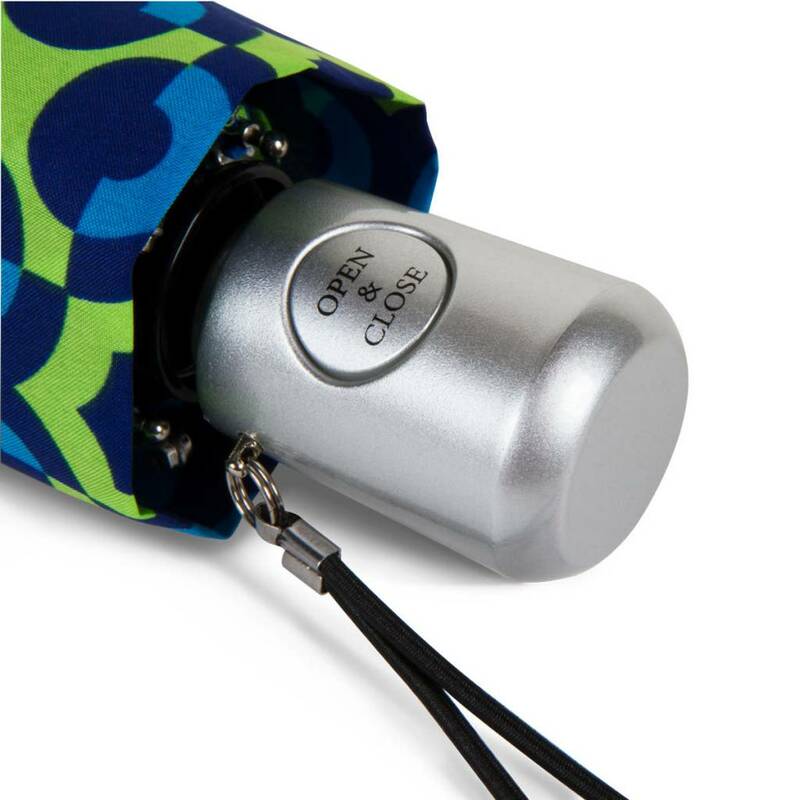 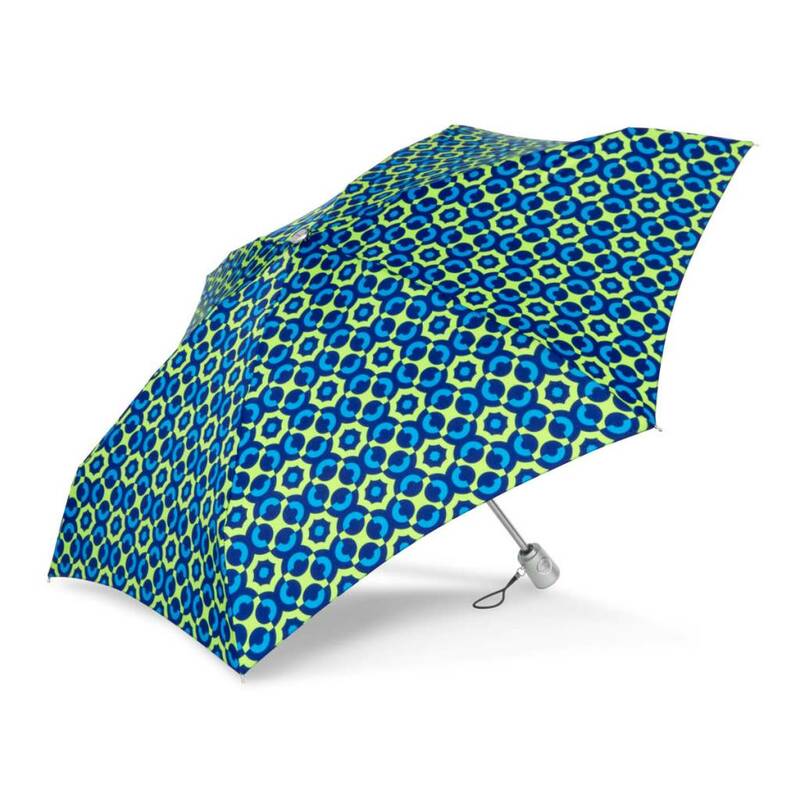 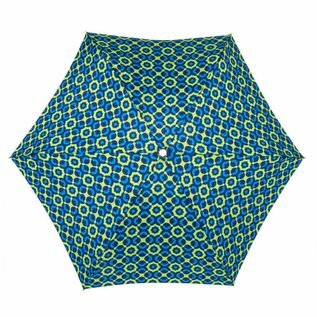 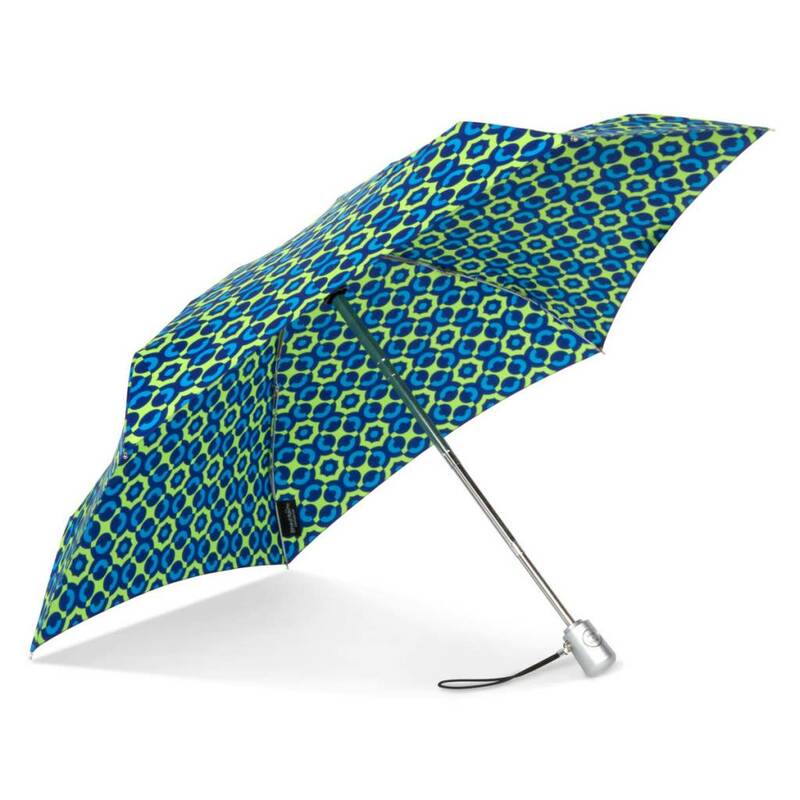 Combining great value with auto open and close convenience, this handy umbrella folds up to a mere 8", opening to a 40" arc. Sturdy steel shaft and ribs with a silver plastic handle. So easy to stash in your jacket, purse or even your pocket! 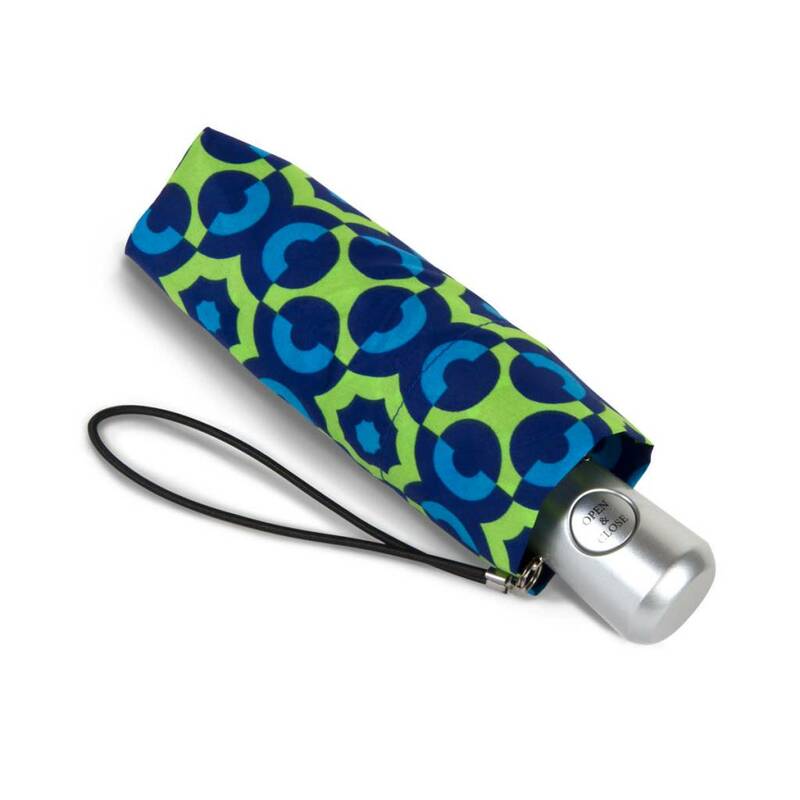 Includes a self fabric travel case and bungee cord wrist strap.